Ben Affleck is heading back to rehab. The actor, 46, is seeking treatment for alcohol addiction. 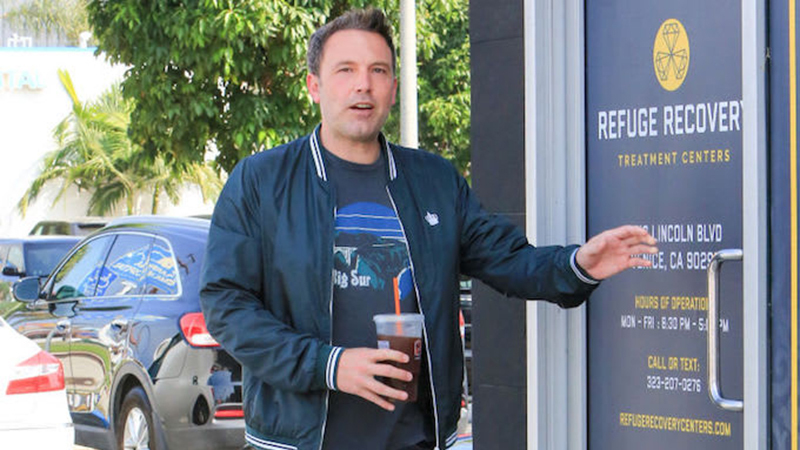 The move to enter a treatment facility came after his ex Jennifer Garner was photographed arriving at his home on Wednesday. The Peppermint actress was seen leaving Affleck’s upset and shaking. When she returned, Garner, Affleck and an unidentified woman who arrived at the actor’s home with her were photographed in a car the actress was driving. The mother of three reportedly stopped by a Jack In The Box in the Pacific Palisades before the trio drove to a treatment facility in Malibu. On Monday, the Justice League star was photographed receiving an alcohol delivery outside of his Brentwood, California, home.